A Great Life operates in the weight loss MLM niche and are based out of Maryland in the US. 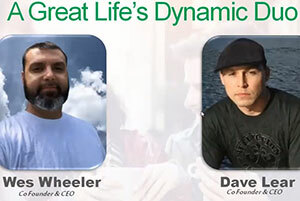 Heading up A Great Life are co-founders Wes Wheeler and Dave Lear. Dave Lear last popped up on BehindMLM’s radar back in 2015, as co-founder of The Elite Networker. Earlier that same year The Elite Networker co-founders launched Total Takeover. Both The Elite Networker and Total Takeover operated as pyramid schemes and collapsed shortly after launch. After The Elite Networker collapsed, Lear went on to promote Valentus. I wasn’t able to find an MLM history for Wes Wheeler, which I’m flagging as suspicious. Read on for a full review of the A Great Life MLM opportunity. A Great Life markets a weight loss tea they’re calling “Not the Average Skinny Tea”. Our precisely chosen ingredient blend has been sourced from exotic regions like Asia, Africa, and South America and were selected on the fact that you can FEEL the product working almost instantly. Not The Average SKINNY TEA Works with your body 7 different ways to help you lose weight. When you take a look at our ingredients you will understand why so many people are drinking our tea every day! 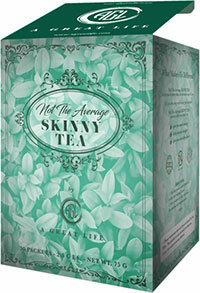 Not the Average Skinny Tea retails at $69.95 for a box of thirty single-serve sachets. A three-pack is available for $154.95 ($51.65 a box) and a six-pack for $239.95 ($39.99 a box). A Great Life’s compensation plan rewards affiliates for making retail sales and recruiting affiliates who maintain a monthly product order. There are five affiliate ranks within the A Great Life compensation plan. BV stands for “Business Volume” and is sales volume generated via retail sales and affiliate orders across the binary team (see residual commissions for more information). A Great Life pays commissions on the sale of Not The Average Skinny Tea to retail customers. A Great Life pays residual commissions via a binary compensation structure. Residual commissions are paid out on sales volume generated across the binary team. A Good Life pays residual commissions using a Residual commissions are paid using a 40 BV/80 BV ratio. That is to say a residual commission is generated each time 40 BV on one side of the binary team is matched with 80 BV on the other wise. For the purpose of residual commission calculation, which side of the binary team 40 BV is matched with 80 BV on doesn’t matter. Each 40 BV/80 BV ratio match generates an $8 residual commission. A Great Life take 5% of company-wide sales volume and places it into three Bonus Pools. Product-wise A Great Life appears to be not much different to any other weight loss tea MLM opportunity. When we designed our tea, we made sure to not only create the best functional tea for energy and weightloss, but also the yummiest! In fact, in a recent survey carried out by a few of our product testers, 100% of them said, It tastes like Christmas. Nothing really stood out as unique about Not The Average Skinny Tea, but that’s not necessarily a bad thing. If the tea works as advertised and is competitively priced, retail demand will follow. Unfortunately that brings us to A Great Life’s compensation plan, which only requires a token effort at retail sales. The Life Changer rank requires an A Great Life affiliate to make one retail sale. The wording of the compensation plan implies this is a one-off sale, with the only additional qualifier then being group BV. By forcing affiliates to place a monthly order, A Great Life lends itself to autoship recruitment at the expense of retail sales. Once that initial retail sale is made, A Great Life affiliate can focus on recruitment of new affiliates, all of whom are likely to be on autoship due to the mandatory monthly purchase requirement. What you wind up is a company full of affiliates purchasing product each month to qualify for commissions. And as a result of purchases made to qualify for commissions, so the legitimacy of Not The Average Skinny Tea becomes irrelevant. 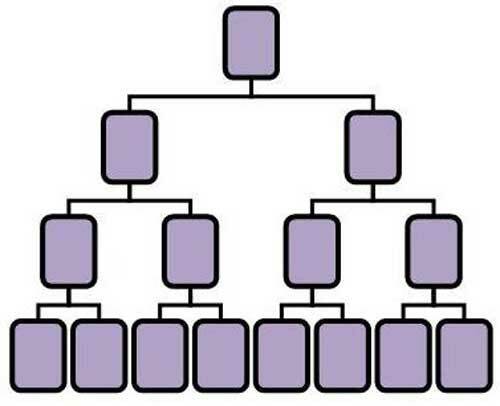 From a regulatory standpoint the autoship recruitment model is that of a pyramid scheme. And as with all pyramid schemes, once recruitment slows down the majority of A Great Life affiliates will be forced to realize a loss. Unbeknownst to most, these “collapsable” schemes accomplish what they set out to do from the start. They collect a long list of names and emails to continue the perpetual scheme promoting cycle. That’s why the same individuals pop up every so often promoting different programs and schemes. The only test that is relevant before joining any MLM scheme is very simple. The prospective distributor needs to ask themselves if they would purchase this product at retail price if there was NO business opportunity attached to the product. Even if they want to lose weight by drinking tea, would they buy this one regardless of the relatively high monthly cost or not? Very few new bizz-opp seekers conduct this basic due diligence, then they complain if they don’t make any money! The prospective distributor needs to ask themselves if they would purchase this product at retail price if there was NO business opportunity attached to the product. In an ideal world, however people are fallible. More so when potential income is involved. You’re far better off going over the compensation plan and getting a sense of how money flows through the business.